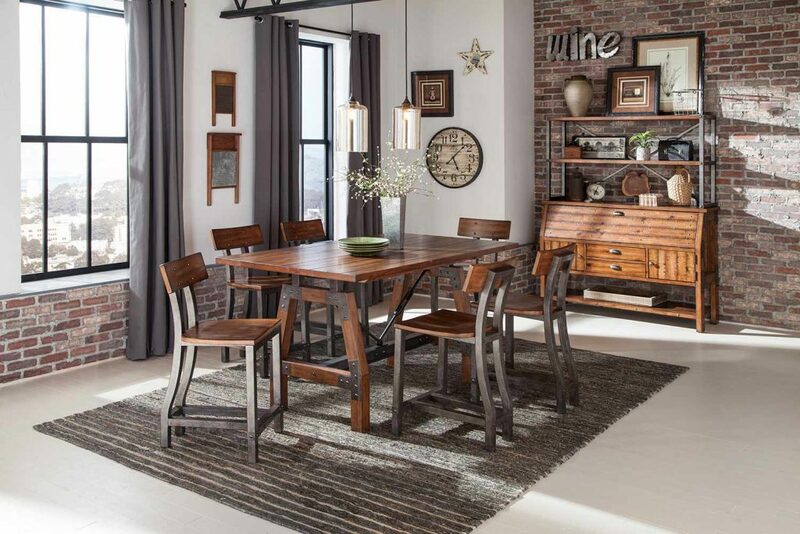 Heavily influenced by industrial design, the Holverson Collection by Homelegance will lend a unique look to your personal space. Metal framing provides sturdy structure and profile to each piece in this collection. 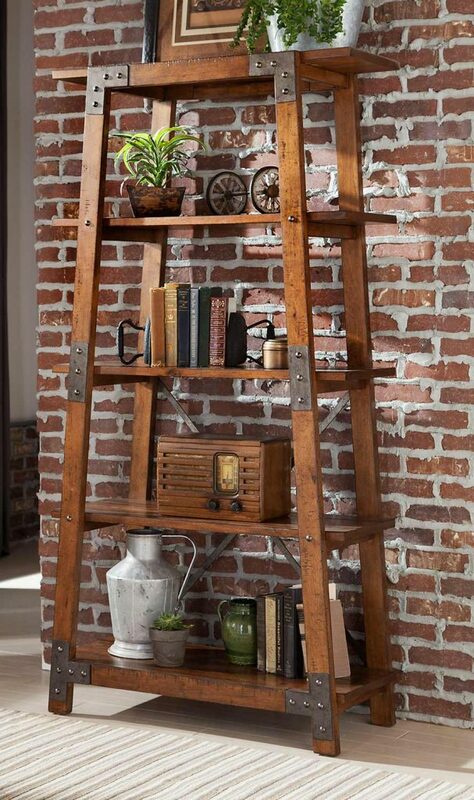 Faux rivets provide additional detail to the metal bracketing that is prominently on display. 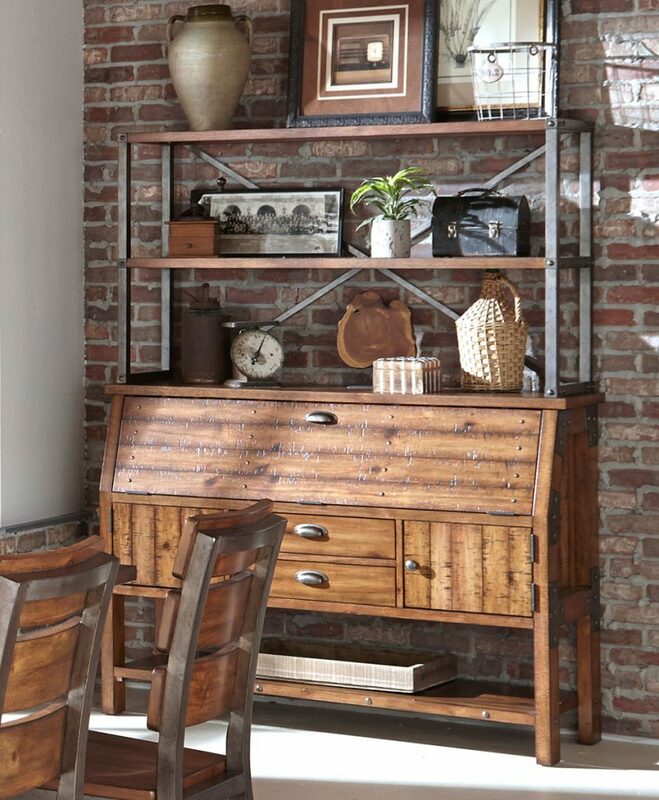 A rustic brown milk crate Finish is utilized to highlight the acacia Veneer. The open display Hutch paired with the drop front Server base, provides ample display and behind door storage for your tabletop accessories. 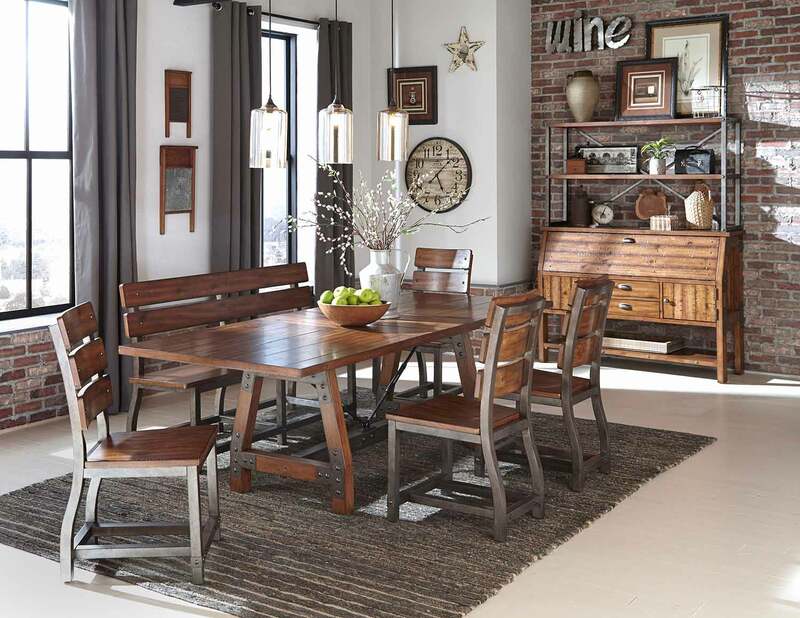 The two table offerings – rectangular dining height and fixed-top counter height – allow for perfect placement within your casual dining space. Side chair for both Table Heights present the opportunity to customize seating to fit your lifestyle. Complete the collection with the matching bookcase/display.